The titles should have question marks and some of the sentences are missing articles, such as- I have an earache, I have a headache. 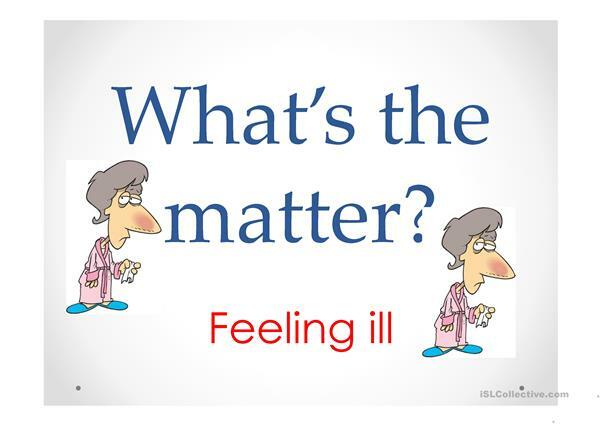 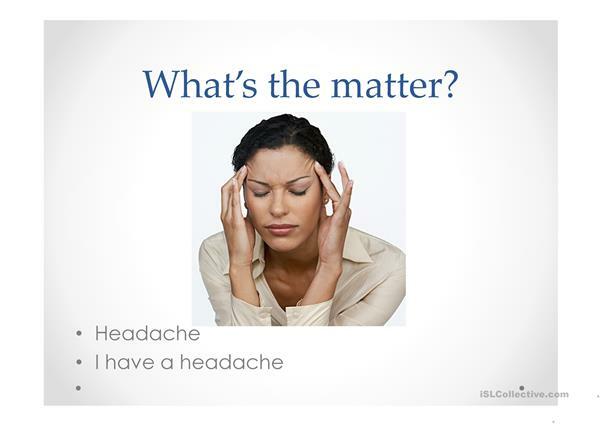 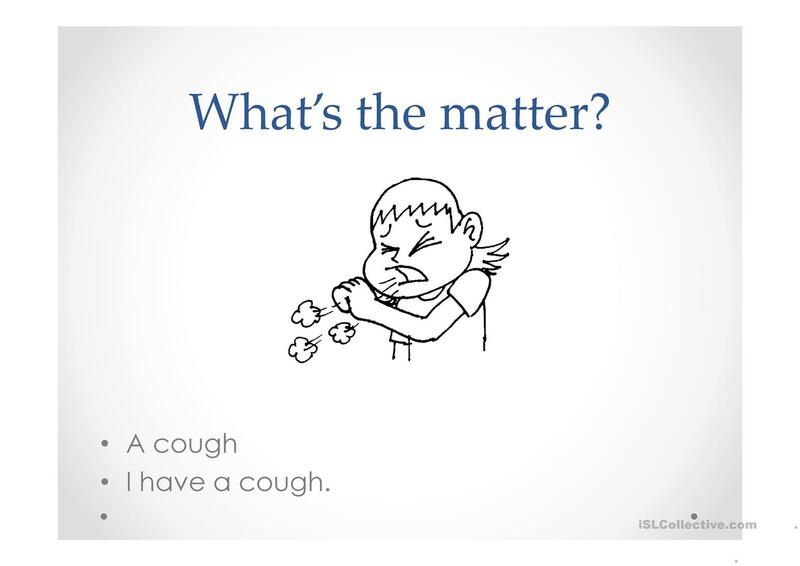 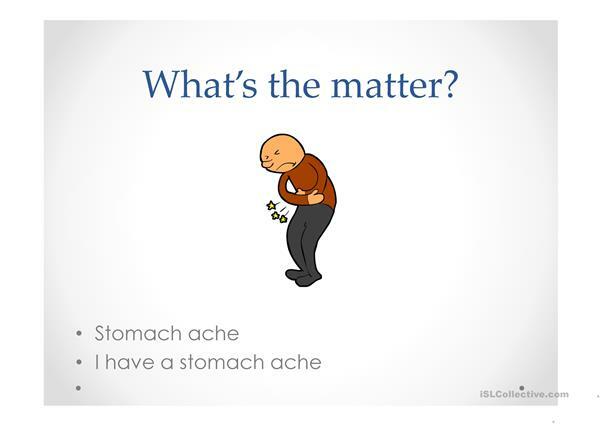 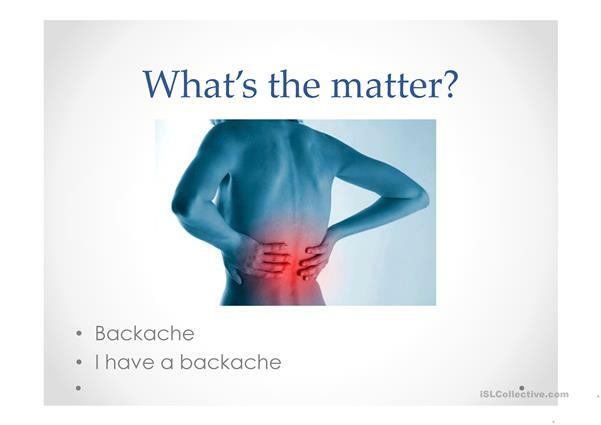 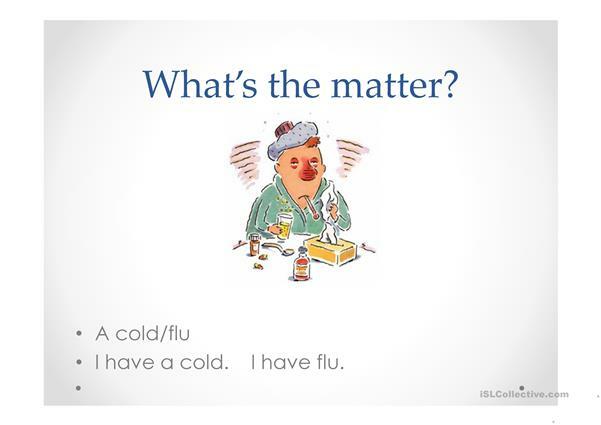 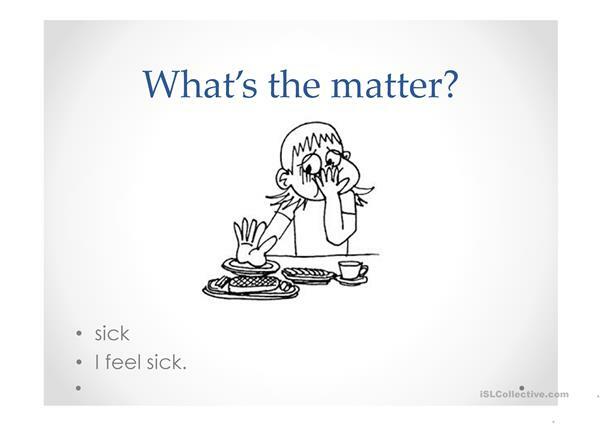 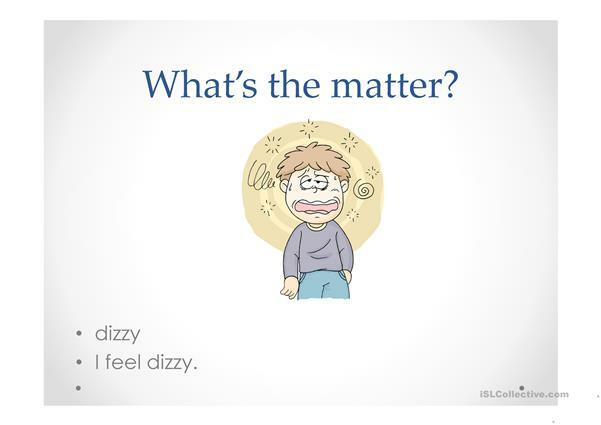 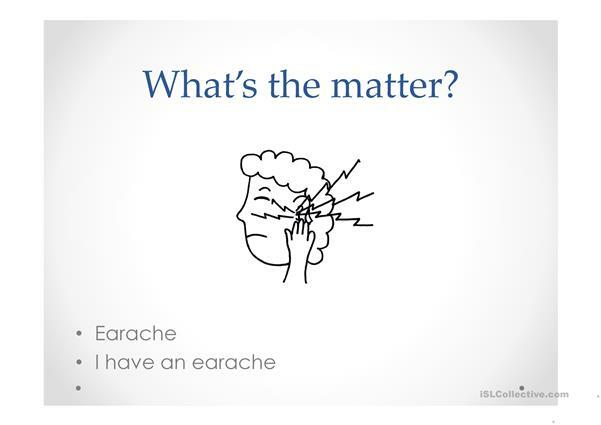 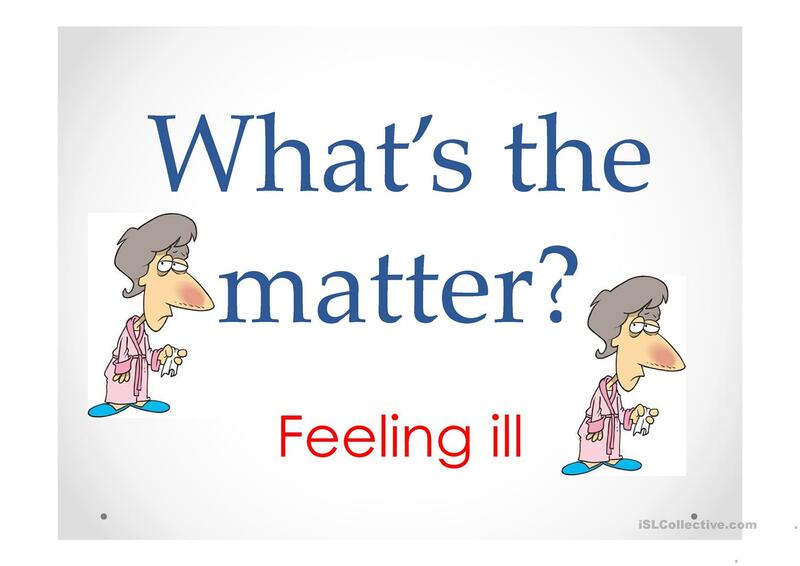 A power point to introduce students to the vocabulary we use to say we are ill. 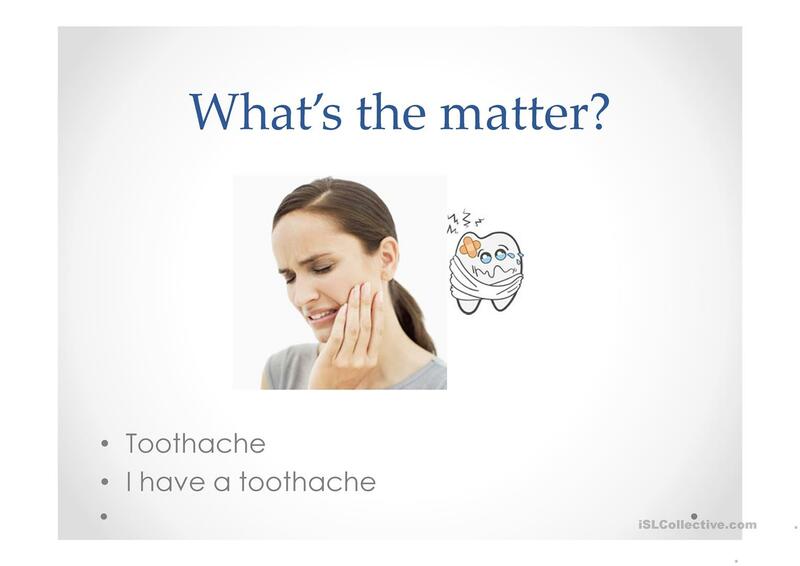 I printed off each picture as well to hand out to each SS to practice the correct vocabulary. This printable, downloadable handout was created for adults at Beginner (pre-A1) level. 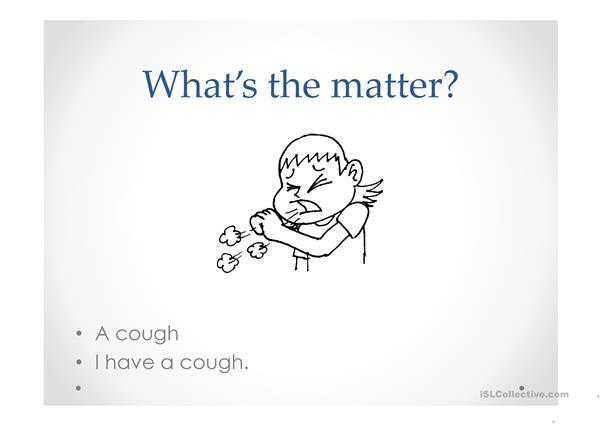 It is excellent for developing your class' Speaking skills. It centers around the vocabulary topic of Health, going to the doctor.